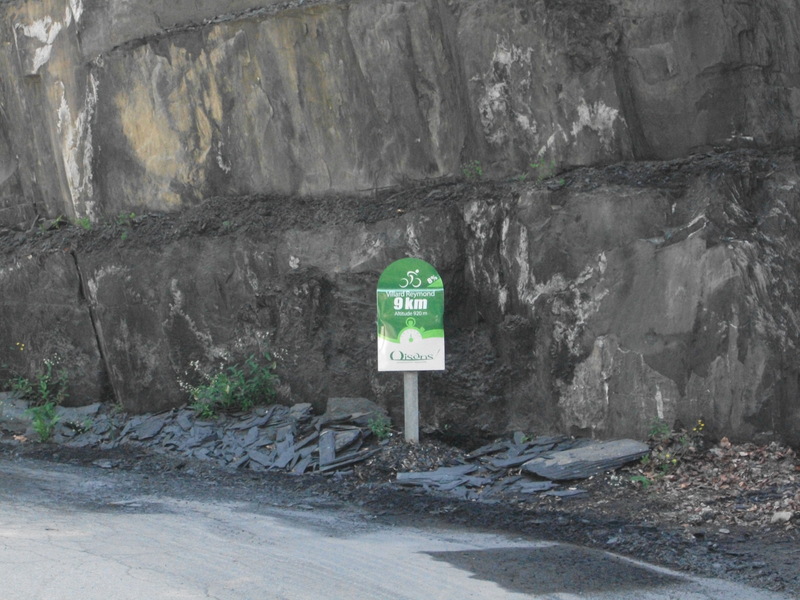 In the week leading up to the Marmotte, riding in the Oisans is hectic. The roads are busy with cars and cyclists. However most ignore the lesser-known ascents in favour of Alpe d’Huez and co. Whilst the smaller climbs may lack the prestige of their neighbours, they provide some of the steepest, most beautiful rides in the area. 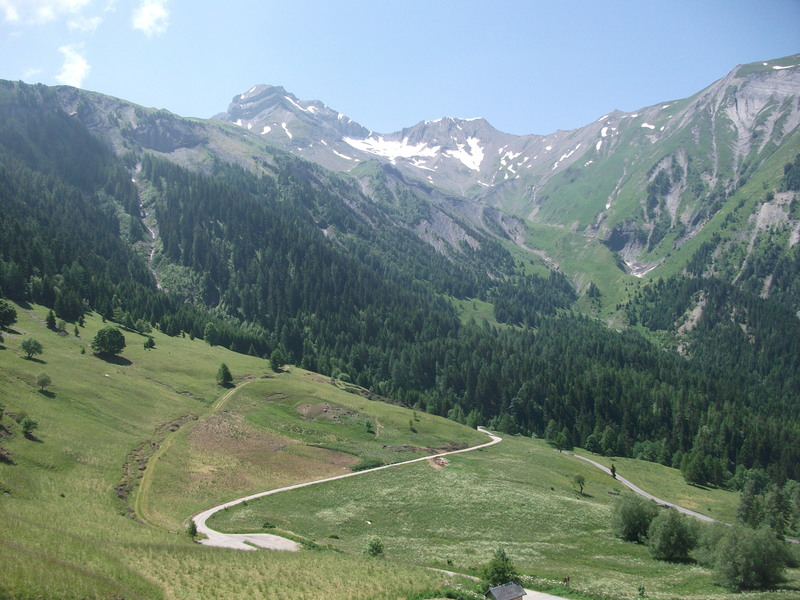 The climb to Villard Reymond is hard – 9km at 8.5% from La Pallaud. The climb twists and turns up the side of a ravine under the cover of pine trees until opening onto a mountain plain at 1610m altitude. The gradient is never constant – short ramps are followed by brief periods of rest. The first 2km offer a nice introduction. You begin climbing straight away however the gradients are not too severe. The middle section is really tough; the hairpins had me prodding at the levers in the faint hope that there was still another gear. The final 1.5km proved easier as I wound through fields towards the village. Above the fields soar two 3000m peaks – Le Grand Pic d’Ornon and Le Grand Renaud. The village has 37 inhabitants and is famous for its production of Génépi – alpine plants that are used for the production of liqueurs such as Chartreuse and Absinthe. Once at the top you have the option of continuing to Villard Notre-Dame and descending back into the valley through a succession of long unlit tunnels. However the road joining the two villages is poor and is better ridden by mountain bike. I prefer to avoid the tunnels and enjoy the technical ride back down. 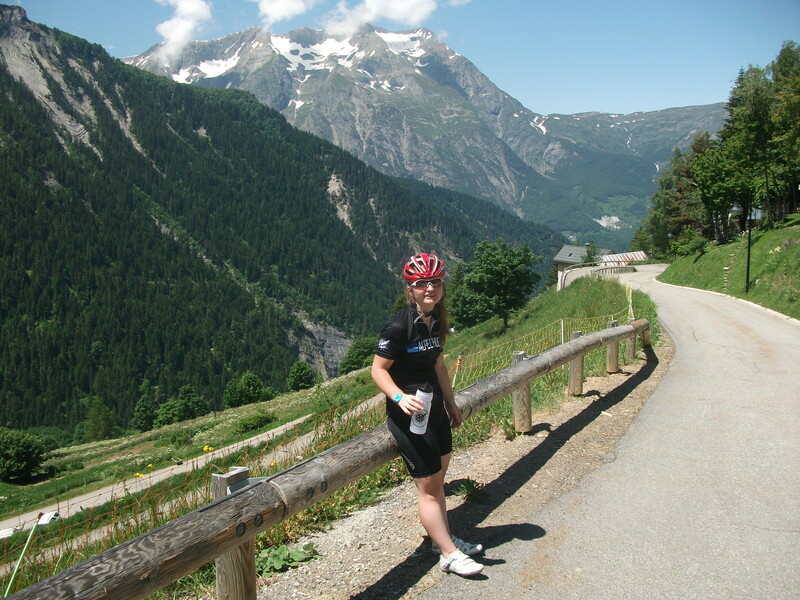 Below is a picture of Hattie at the top modelling her Alpe d’Huez cycling jersey and waterbottle.